A very happy Easter to all who are following this blog! If you live in Michigan you know that the tulip plants are just starting to break through the soil. in the island’s beauty in the springtime. 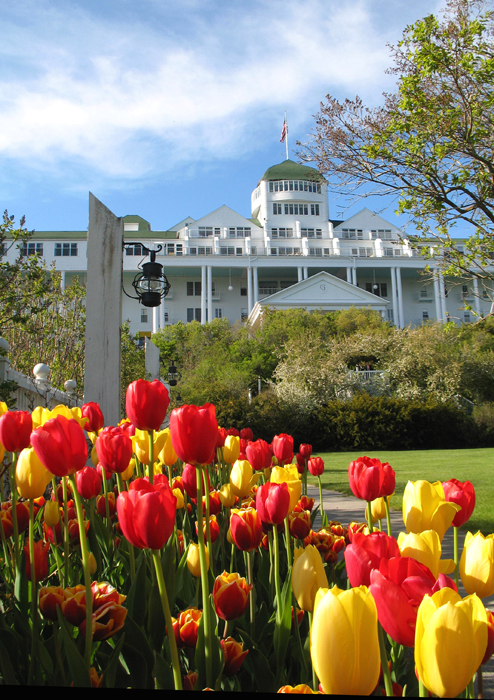 The Grand Hotel gardens feature thousands of beautiful tulips. 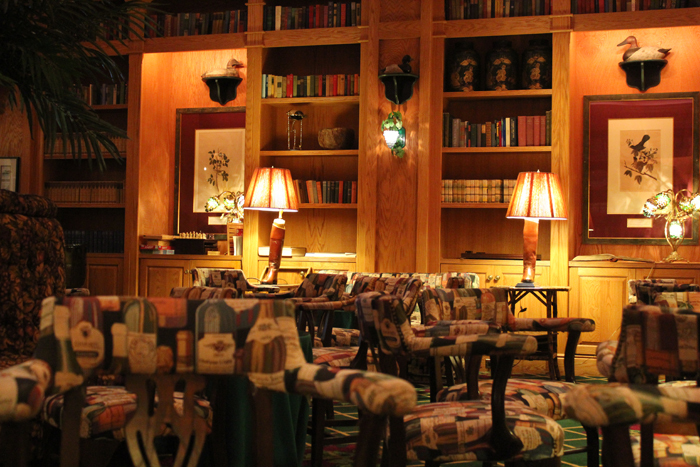 As for the novel, could you have a story that takes place on the island without a scene featuring the Grand? inviting room that no one visiting the Grand should miss. In honor of a very special 16-year old’s birthday, (That’s you. 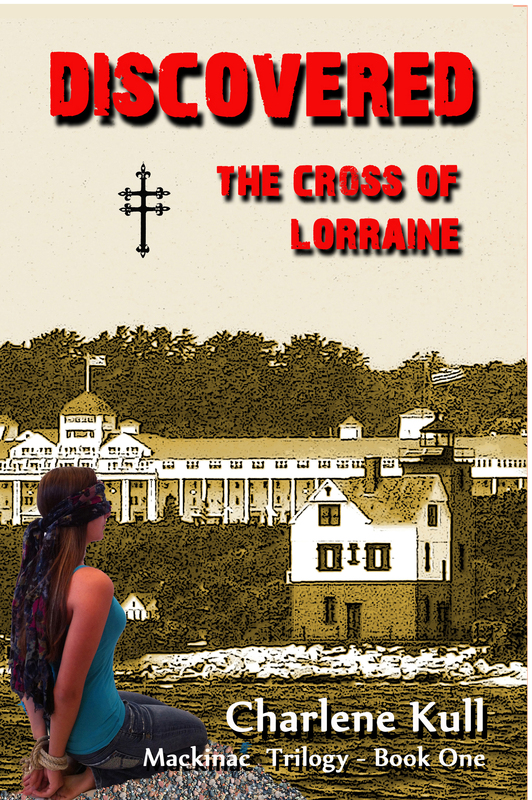 Tillie), the novel Discovered – The Cross of Lorraine is officially available at Amazon.com. PLEASE SCROLL down through all the past postings on this blog to get more of a sense of the novel’s setting and plot. As Tawny is held captive, memories of her times with Takoda help boost her spirits. how intensely she loves him. Every touch, every word is replayed in her mind. In one chapter, she recalls how proud she was to stand at Takoda’s side at the PowWow in St. Ignace. 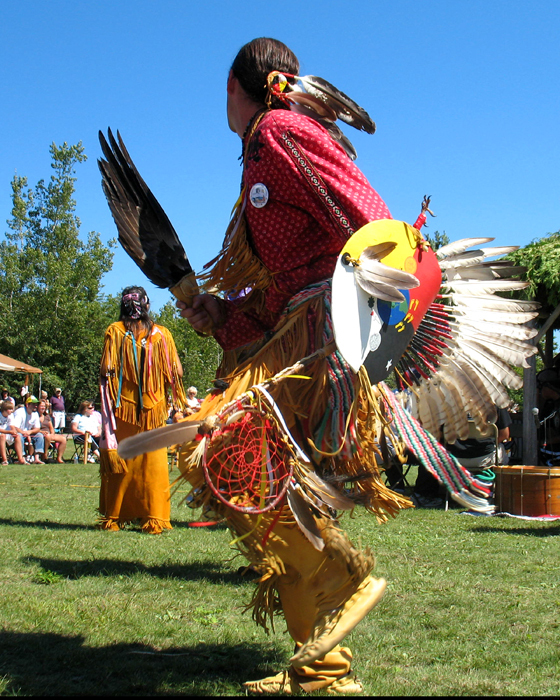 The Rendezvous at the Straits is held each year at St. Ignace and is sponsored by the Sault Tribe of Chippewa Indians, the St. Ignace Chamber Of Commerce, and the Michilimackinac Historical Society. 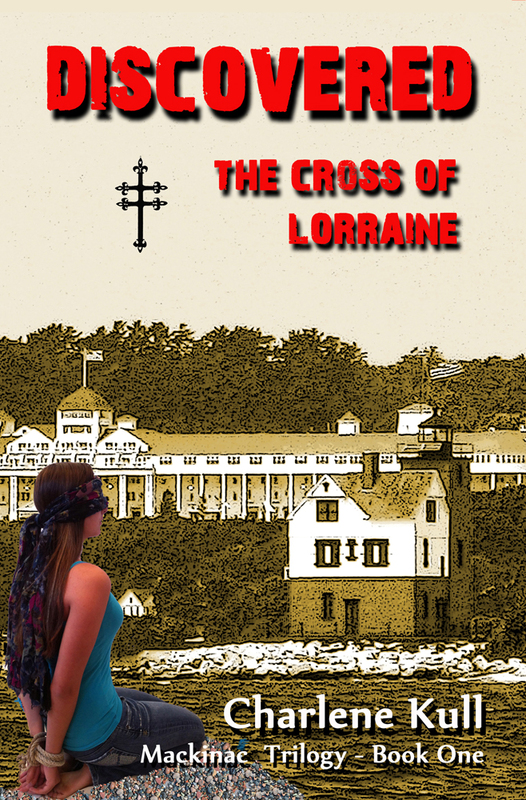 This year it will be held Friday, August 23, through Sunday, August 25, 2013, at the Father Marquette Memorial Park. 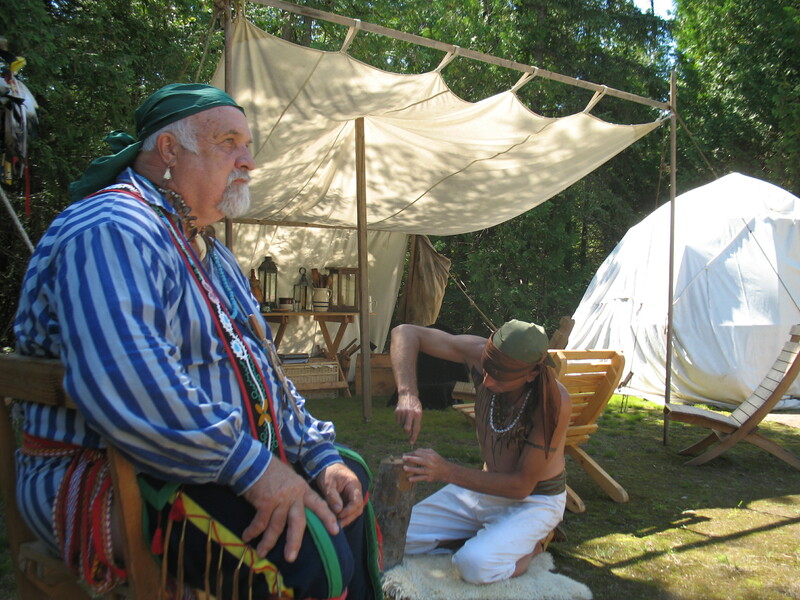 Historical re-enactors portray French traders and Native Americans living in harmony. Although Tawny has moved in with her grandparents on Mackinac Island, she often shuttles back and forth to the mainland at St. Ignace. 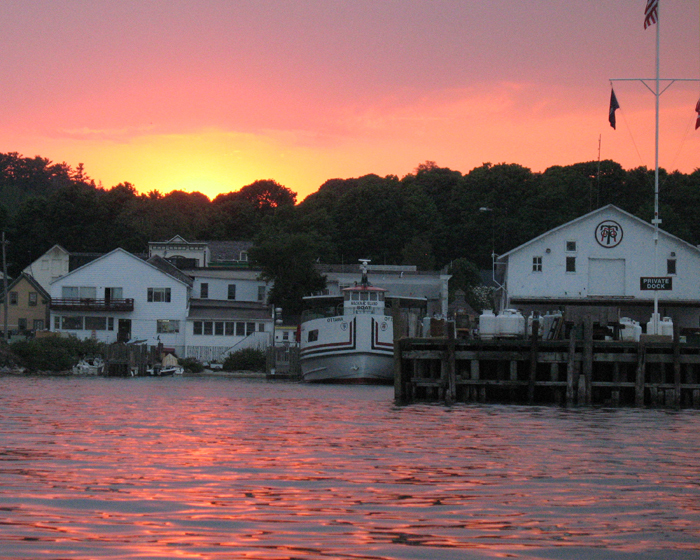 In the novel, she and her mother travel on the Star Line Ferry. 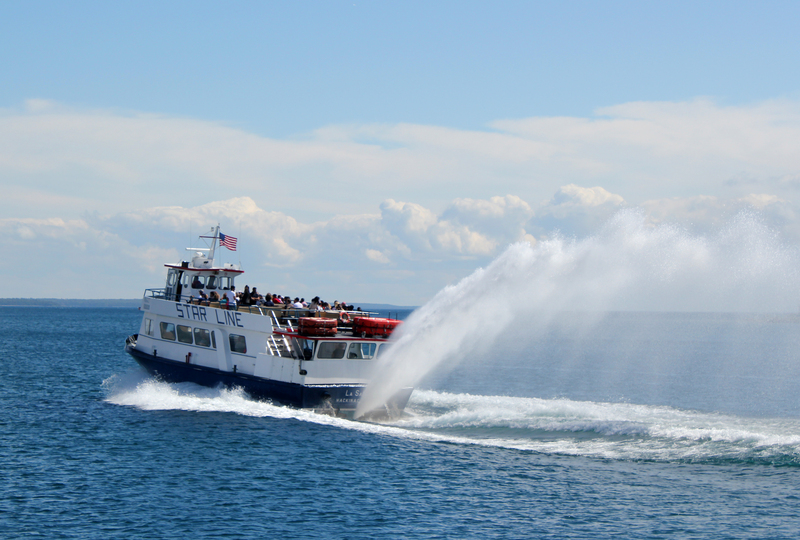 A popular choice of tourists, these ferries sport a large plume of water spraying out from the stern. This distinct, playful touch can be spotted from miles away. 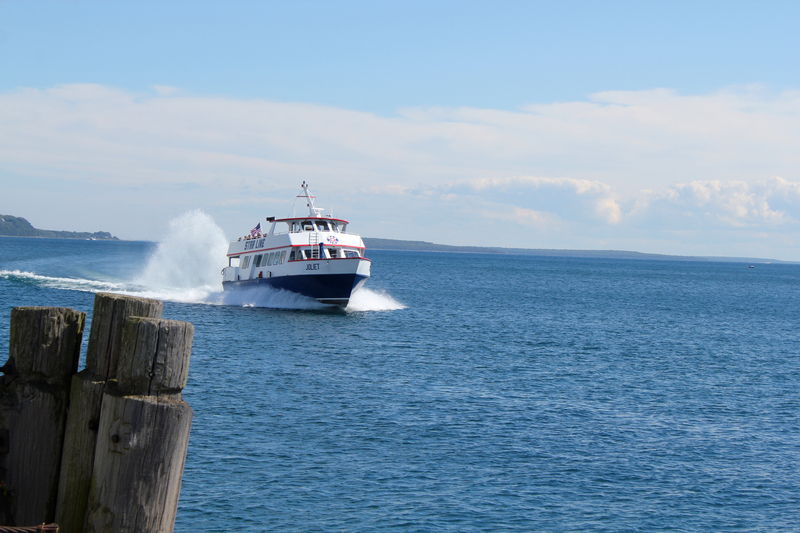 Star Line ferries and all ferry lines pick-up tourists at St. Ignace and Mackinac City. Zooming across the Straits is one of the fun highlights of trips to the island. 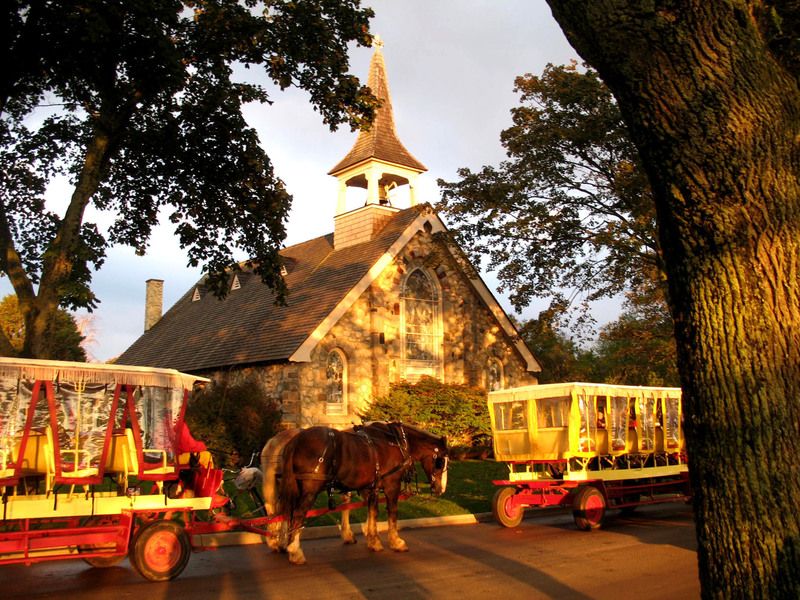 Little Stone Church is a popular choice for a romantic wedding on Mackinac Island. Most brides ride to the wedding ceremony in a elegant carriage. 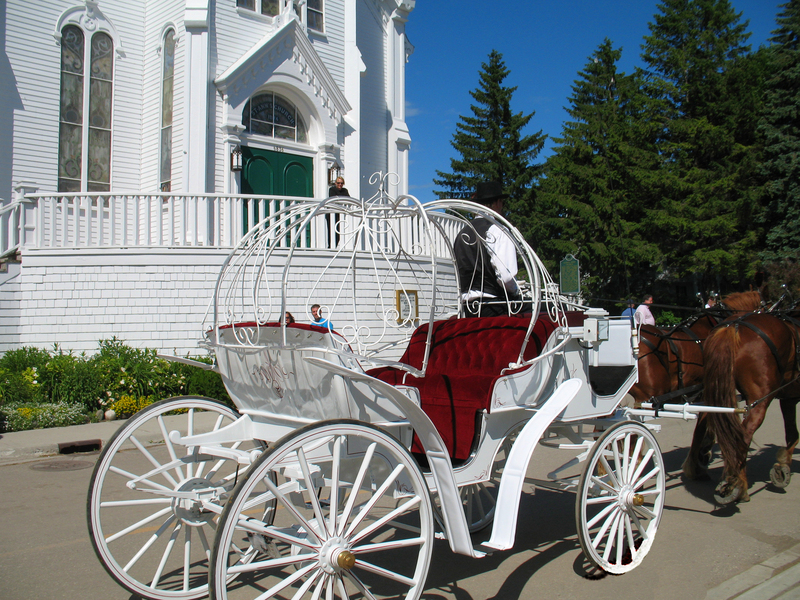 After the ceremony, the bride and groom follow the centuries old tradition of parading through Mackinac’s scenic roads in the elaborate white carriage. Tourists cheer and wave, congratulating the happy couple. but the actual bride and groom will surprise the readers. 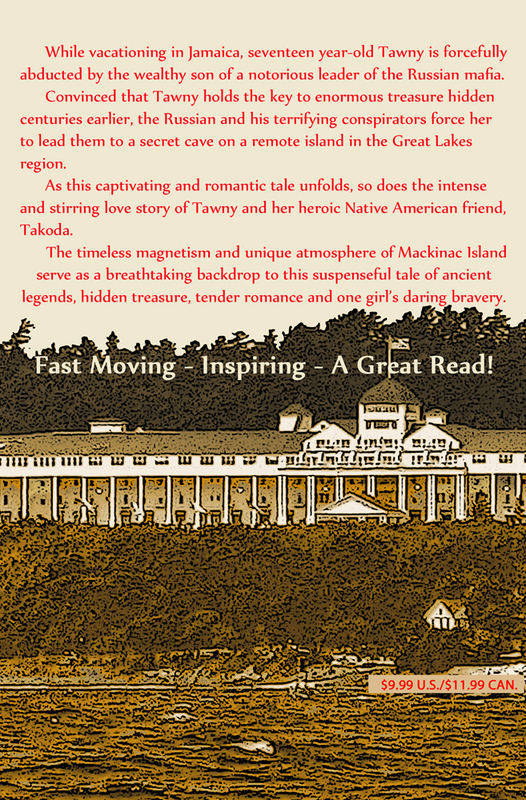 Is there any better setting for a romantic novel than Mackinac Island? many summers at her grandparent’s home there. ways than either could have predicted. 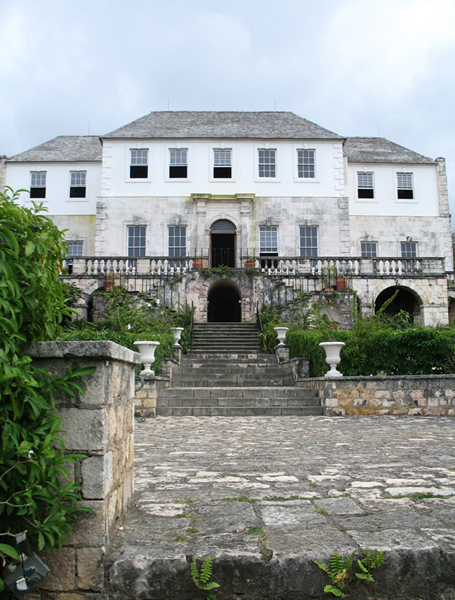 Young Tawny’s (fictional) abduction takes place at Rose Hall, Jamaica – an intriguing plantation with a fascinating history. Built in 1770 by John Palmer and his wife, it eventually became the residence of their grandnephew, John Rose Palmer. In 1820, Palmer married Annie, a beautiful but feisty English girl. Feisty may be the word used on Rose Hall’s web site, but that’s like calling a tornado a slight breeze. She was quite brutal and was rumored to be possessed with “black magic” powers. Annie not only murdered her first husband, as mistress of the plantation, Annie did away with two more husbands and countless lovers. “The White Witch of Rose Hall” has fascinated generations, and even today, there are those who claim to see Annie passing through the Great House. The novel paints a vivid picture of the estate and explains why it was one of the very few plantations to survive the devastating slave rebellion of 1831 – 1832. When you walk through the halls, you can just sense Rose Hall’s macabre history – a perfect setting for Tawny’s violent kidnapping.